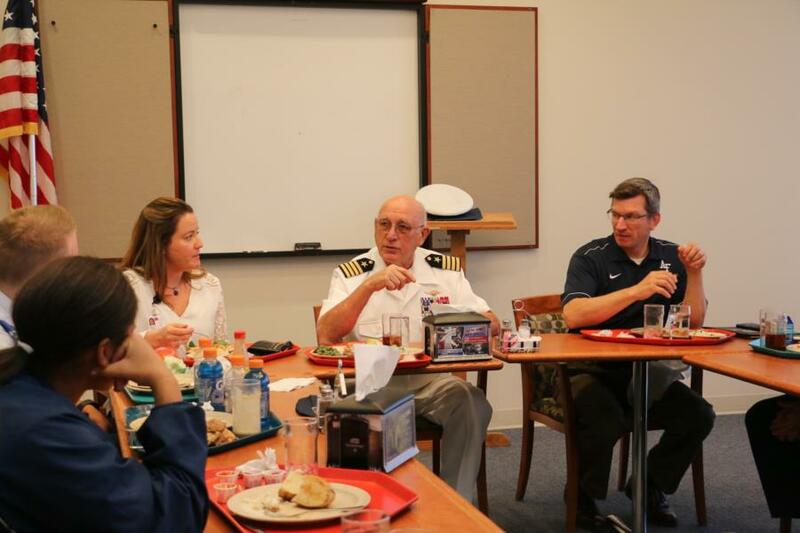 On Monday the Prep School had the honor of a visit with Captain (Ret) John McGrath who was a POW during the Vietnam War. He shared stories about his time as a POW with the C/C's and talked about his life experiences in and out of the Military. Captain Mike McGrath, a native of Delta, Colorado, attended the University of Colorado for one year prior to entering the United States Naval Academy. 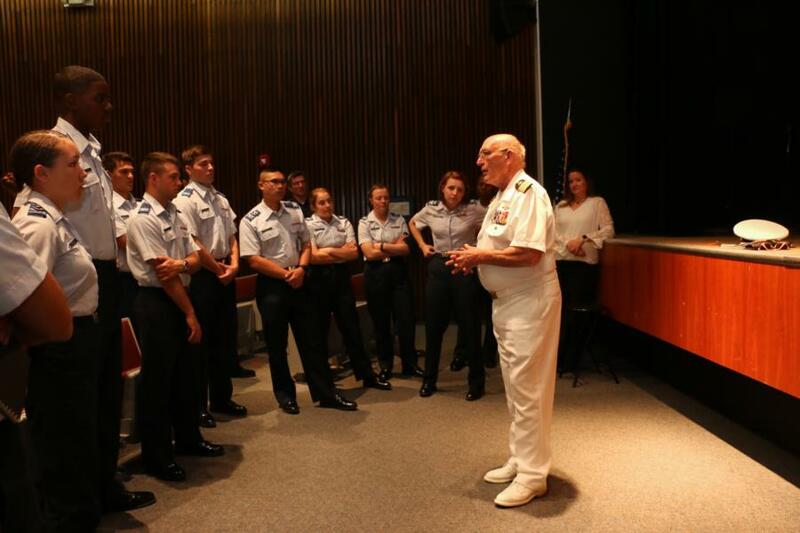 Upon graduating from Annapolis in June 1962, he entered Naval Aviation flight training at NAS Pensacola, Florida. He was designated a Naval Aviator in November 1963. In 1964, Mike’s first tour was as a flight instructor with Training Squadron Two. 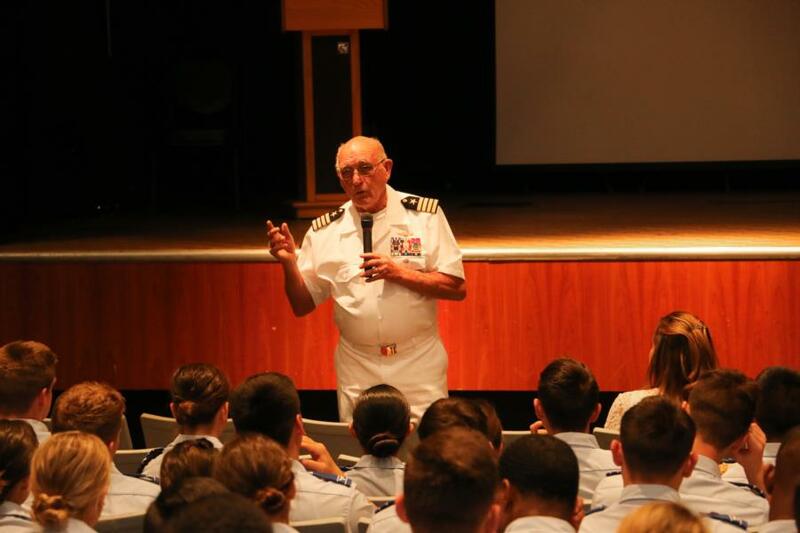 He began his first sea duty tour in early 1965 when he joined the “Blue Diamonds” of VA-146. Flying the A-4C “Skyhawk,” he flew 179 combat missions from the decks of USS Ranger and USS Constellation before being downed by enemy gunfire on June 30, 1967 over North Vietnam. Destined to wait out the Vietnam War as a Prisoner of War for nearly six years, Captain McGrath participated in communication and organization efforts to resist enemy exploitation. His experiences have been chronicled and illustrated in his book, Prisoner of War—Six Years in Hanoi. The book is in its 11th printing and is available from the Naval Institute. Captain McGrath was repatriated on March 4, 1973. After rejoining his family in San Diego, he attended the Naval Postgraduate School in Monterey, California. He graduated in September 1975 receiving a Masters Degree in Financial Management. He reported to VA-195 to fly the A7E before joining the VA-97 “Warhawks” as Executive Officer in October 1977. He took command in January 1979 to lead the squadron in highly successful WESTPAC cruises including operations on “Gonzo Station” during the Iranian hostage crisis. Following his sea tour, Captain McGrath reported to the U.S. Naval Academy as Chairman of the Leadership and Law Department. Mike’s final Navy assignment was a three year tour as naval attaché in Quito, Ecuador. Mike retired from the Navy in January 1987. Captain McGrath’s military awards include: The Silver Star, Defense Superior Service Medal, two Legion of Merit Medals with Combat “V,” two Distinguished Flying Crosses, two Bronze Stars with Combat “V,” 17 Strike/Flight Air Medals, three Navy Commendation Medals with Combat “V,” two Purple Hearts and the Prisoner of War Medal. Civil awards include his recent election to the National Wrestling Hall of Fame. The documentary “Return With Honor” is based on the experiences of his group of comrades. 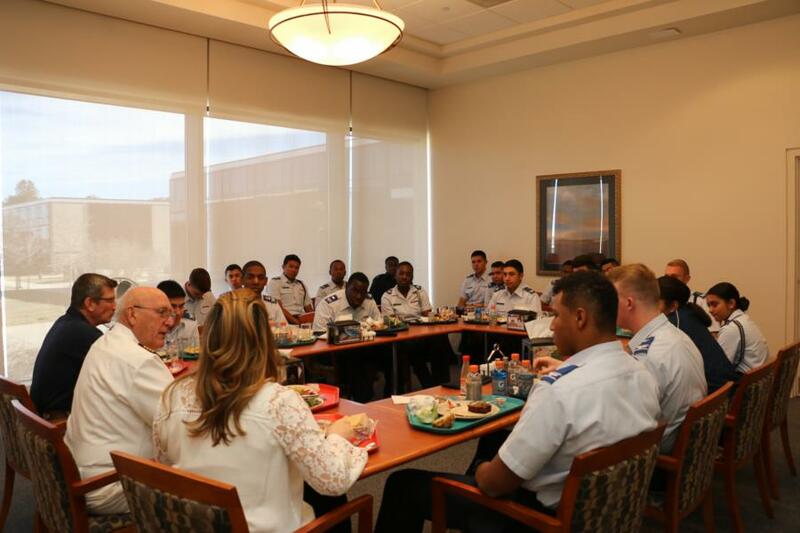 During his visit Capt (Ret) McGrath had lunch with a group of the C/C's and talked to them about what their goals were and what they wanted to do once they graduated from the Academy. 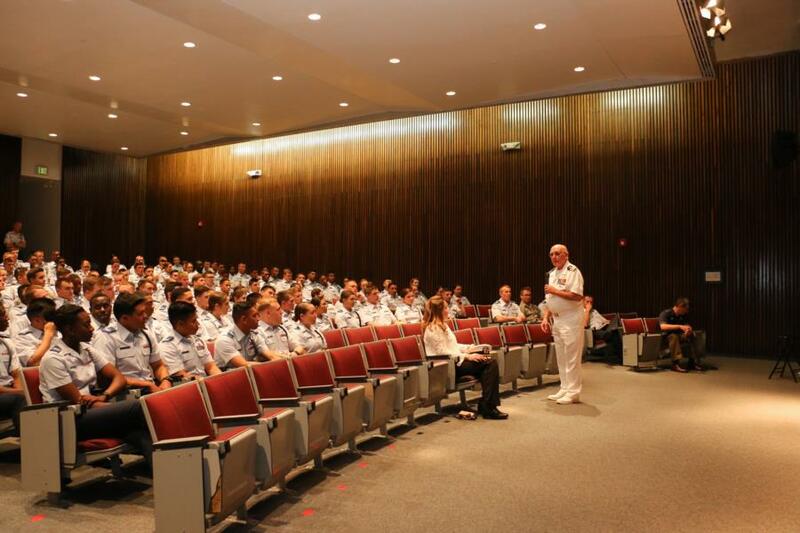 After lunch the C/C's made their way to the theater where Capt (Ret) McGrath addressed the rest of the C/C's and talked about his career, his experience as a POW and what his life was like afterwards. To view the rest of the pictures taken during his visit go to; Classes - Prep School - Prep Life. Or click the link below.